All you need to organise your special day in Antigua is available on island. If you want to make sure your wedding has your personal touch, here is a list of all the services you will need. You can find everything including, beauty & massage treatments, wedding outfitters & jewellers, photographers, flowers and transportation to cakes and catering. ANTIGUA BRIDES Fresh, Fun and Romantic Destination Wedding Photography, Engagement sessions, Portraits, Trash the Dress or anything else your heart may desire. Antigua Brides Destination Wedding Photography to Antigua and the Caribbean Islands. AMERICAN AIRLINES is the major airline carrier to connect the US and the Caribbean. Its regional hub in Puerto Rico is the gateway from many US cities to over 30 Caribbean Destinations. CARLISLE BAY ANTIGUA Carlisle Bay is situated on one of the island's most beautiful beaches. The award-winning contemporary hotel has 87 suites, three restaurants, an exceptional spa and a range of exciting activities - from water sports to tennis. CATAMARAN HOTEL situated on the south eastern side of the Antigua in a peaceful and quiet atmosphere, is directly on the beach of the beautiful natural harbour at Falmouth. COLOMBIAN EMERALDS INTERNATIONAL is proud to be one of the largest duty-free jewellers in the world. A 40 year reputation for quality, service and value has crossed over oceans and has earned Colombian Emeralds International the Best Duty Free Retailer of the Year for 5 consecutive years. FLOREXOTICA is a florist in Antigua that can cater for your every need from floral arrangements for a wedding to yacht decorations and much more. FLOWER WORLD LTD. are ready to go the extra mile to meet and exceed your floral dreams. They can create various arrangements including traditional, tropical & contemporary for your Event or Occasion. They also have a breathtaking Wedding collection as well as an extensive selection of flowers and plants to turn your yacht or boat into somewhere magical. GEMMA HAZELWOOD PHOTOGRAPHY has captured many memorable moments, by combining his talents and expertise. He offers wide range of photographic services including wedding, portrait, scenic & landscape photography. INDIGO - ANTIGUA WEDDING PLANNERS we aim to take away the stress and confusion of planning your destination wedding. With you every step of the way and working with only the best service providers on the island; we take great care to ensure your wedding is as perfect as it can be. ISLAND FUSION RESTAURANT AND BAR offers some of the best home cooked food on the island! Sandra serves delicious Caribbean and International Cuisine for breakfast, lunch & dinner. Island Fusion also provides full catering services for Weddings & other events. JASON PICKERING PHOTOGRAPHY LTD. At Jason Pickering Photography, we specialise in weddings, marine and commercial photography for local and international clients. We also have a fabulous wedding planning service, with unique packages, bespoke services, funky photo products, and a set of stunning images that you’ll treasure forever. PHOTO FANTASY - PHOTOGRAPHY BY TED MARTIN Ted Martin offers a unique portfolio of services to anyone requiring a photographer including Weddings, Parties & Events, Portraits and much more. STEPH & VLADAS STUDIO Wedding Planners, professional photographers, hair stylists and make-up artists in Jolly Harbour offering hair, nails, airbrush makeup and photography services. 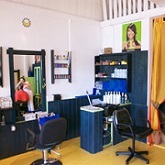 A ‘one-stop’ solution for your next special occasion or day of pampering. THE GOLDSMITTY is a unique jewellery shop situated in historic Redcliffe Quay in the heart of St. John's. Their hand made jewellery has rare and exotic gemstones set in exquisite creations of 14 and 18 karat gold and is designed by the owner, Hans Smit, who is World renowned for his expertise. TRADE WINDS HOTEL is beautifully situated on a hillside overlooking the spectacular Dickenson Bay and set within lush, landscaped gardens. It contains 50 spacious rooms & suites and many have stunning vistas. VANESSA HALL Documentary Wedding and Family Photographer. I believe that photography is the voice to inspire, educate and impact positive change in our community. If you’re a NGO or Non Profit that wants to make a difference, please reach out.